Smart technology has evolved over the last several years to do some amazing things. Our smartphones that we keep in our pockets have more capabilities than home computers did 20 years ago and with the many apps available, you can do almost anything with your phone. Smart devices such as Amazon Echo and Google Home have brought smart technology into our homes, giving you instant control of different devices and utilities in the home just by using your voice. While many of these smart technology innovations are for our entertainment or convenience, there are smart home devices out there designed to protect your home from disasters that can cause serious damage. Our homes may be getting smarter due to smart home technology, but they are still vulnerable to disasters like water leaks, flooding, and fires that can cause serious property damage. Fortunately, there are many smart home devices available that can help you protect your home from these disasters, and even monitor your home when you are away. The following are the top smart home innovations that can help protect your home from fires, water damage, and even burglaries. Security cameras have been in use for decades, mostly by businesses and commercial properties, as well as wealthy individuals that could afford the costs for their homes. Recently, home security systems that include security cameras have become much more affordable and easier to install. 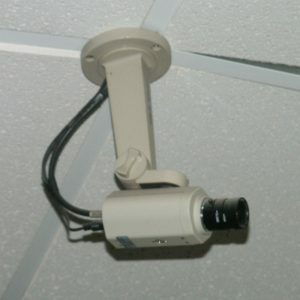 You can buy the equipment you need, including the cameras, for a few hundred dollars and easily install them anywhere on your property that you would like monitored. You can also monitor the cameras at any time from your smartphone using the right apps. If one of the cameras detects something, it will send you an alert so that you can check out what is going on. You can use home security systems to keep an eye on the outside of your home, valuables, and important appliances like the sump pump. The presence of security cameras also helps deter burglars. If a water leak occurs in your home, it can lead to very serious water damage before you realize there is a problem. Hidden leaks slowly penetrate porous building materials and spread further through the home, increasing the risk of structural damage and mold growth. The best way to avoid serious damage from a water leak is to catch it quickly, but leaks are easy to miss. Smart water leak detectors can be used to alert you when there is a leak in your home, so you can take action before the damage becomes severe. Water leak detectors are battery powered devices that resemble smoke alarms, and they are placed near plumbing fixtures and appliances that are at risk for leaking such as sinks, toilets, bathtubs, and water heaters. When a leak occurs, the detectors will sound an alarm, or alert your smartphone depending on how you have it set up. Whether you are at home or away, these detectors will let you know immediately when there is a leak. Taking action as soon as possible after discovering a leak will help limit its spread and prevent water damage. You can also fit your home with a full flood monitoring system that consists of multiple water leak detectors and automatic shut-off valves that you can control remotely. Smoke detectors have been in use for a long time, but they have been updated with smart technology to make them more effective. 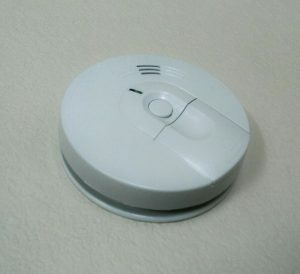 Smart smoke detectors send an alert to your smartphone whenever it detects anything, or whenever it has a low battery. They can be incorporated into your home security system which allows for alerts to be sent to you and the fire department in an emergency, and they can also be integrated with security cameras, so you can view footage of the start of the fire. There are certain smart smoke detectors available that can shut down your HVAC system if it detects smoke, preventing the spread of smoke particles through the system to other areas of the home. Smart fire detectors are devices that alert you when they detect a rise in heat. Just like smart smoke detectors, smart fire detectors will send an alert to your smartphone, and they can be incorporated into your security system with other heat and smoke detectors. Fire detectors can be set to work in one of two ways; they can send an alert when the temperature rises above a pre-set level or send an alert when it detects a quick rise in temperature. Most devices can be set both ways, but some may only have one of these capabilities. You should not replace your smoke detectors with fire detectors, it is best to use a combination of both. If you already have regular smoke detectors installed throughout your home and you don’t want to replace them with smart smoke detectors, you can make your current smoke alarms smart with smart batteries. Smart batteries can send an alert to your smartphone when one of the smoke detectors goes off, and it can also let you know when the battery needs to be replaced with a smartphone alert. These batteries can be used in smoke detectors, fire detectors, and carbon monoxide detectors. Cooking is always one of the top causes of house fires and this typically happens when cooking food is left unattended. Smart stovetop devices can help prevent cooking fires by automatically turning off the stove when it is left unattended. These devices work with motion sensing technology that can tell whether or not you are in the kitchen. When you leave the kitchen, the device starts a countdown to when it will shut off the stove. The countdown restarts when you walk back into the kitchen. Smart outlets, or smart plugs, are Wi-Fi enabled electrical outlets that can be turned off from anywhere using an app on your smartphone. If you are away from home and you are afraid that you left something on, you can simply shut off the smart outlet with your phone. You can also use the app to control your lights when you are away from home instead of using timers. This is especially convenient if you are coming home at night because you can turn your lights on before you walk inside. It is possible to sync smart outlets with devices like Google Home and Amazon Echo so that you can control them with your voice. Excess water and fires cause billions of dollars of damage each year, and much of this damage can be avoided. The smart home devices discussed above can help you prevent serious property damage by alerting you of water leaks and reducing the risk and spread of a fire. These devices can also be easily controlled with your smartphone from anywhere that you have internet access, allowing you an unprecedented level of control. 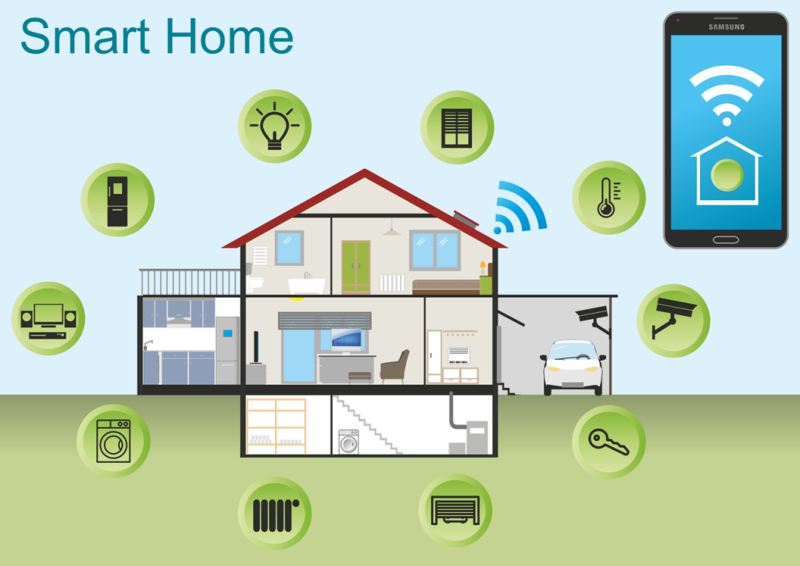 While smart home devices can be effective protecting your home from damage, nothing can guarantee complete protection. Fires and indoor flooding can still occur, and it is important to have the damage restored quickly to help prevent further issues in your home. 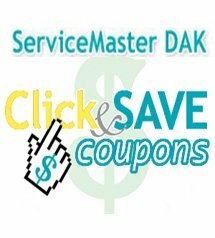 At ServiceMaster DAK, our professionals are ready to respond to water and fire emergencies in the North Shore and northern Chicago suburbs. We provide complete water damage restoration services to remove water from leaks or indoor flooding, and we can clean up and rebuild homes affected by smoke and fire with our fire damage restoration services. You can contact us 24 hours a day at (847) 564-0204 for emergency restoration services.